Ms. Balsam Al Khalil – Etiquette specialist & Image Consultant, is the Chief Representative Officer for Bank of Beirut in UAE & the Gulf Region, a holder of a law degree & a woman specialized in business investments in the region. Additionally, Ms. Balsam studied Etiquette for fashion, food and travel, in addition to fashion styling & image consultancy, both at London College of Fashion & the Finishing Touch Academy in Dubai. She obtained a “Protocol MasterClass” degree from Brussels in June 2014, a degree designed for candidates who want to pursue a professional career in business etiquette. She also published her first book “Travel Etiquette”, a guide for the modern Traveler. 1- How did you move from being a banker, to an Etiquette consultant? Actually I’m still very much hand on as a senior banker too, but being a perfectionist myself who likes to see things better led me to help out & share my Etiquette tips which are based on degrees obtained in the field in addition to experience in the work place with the public. 2- When did you find out that you have the passion for Etiquette and Fashion? At a very early age & in fact I was supposed to be in the world of Diplomacy & not in the corporate world or banking in specific, but unfortunately the circumstances in the country of origin, Lebanon didn’t permit at the time of graduation from university. 3- What is your fashion style? Do you follow trends? 4- What made you choose the topic for your guidebook ” travel etiquette”? It was my nephew’s birthday last week-end, he grew up so fast, he’s 11 years old already! And at this age, home celebrations, Burger King, magician… don’t work anymore, boys look for the real thing and this year he decided to celebrate it with his friends in a Paintball Game! 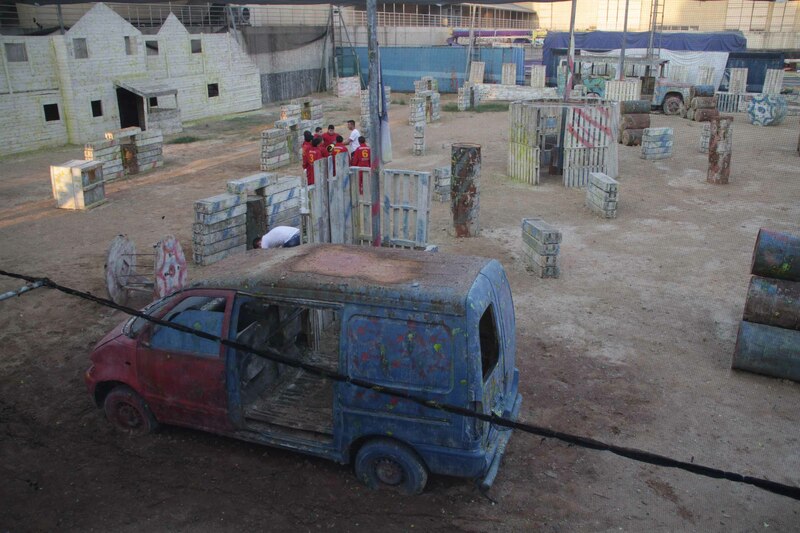 Xtrem Paintball transformed the abandoned arena into a truly organised battlefield. The kids were divided into two groups, each group had someone in charge of them and informing them about the rules of the game. 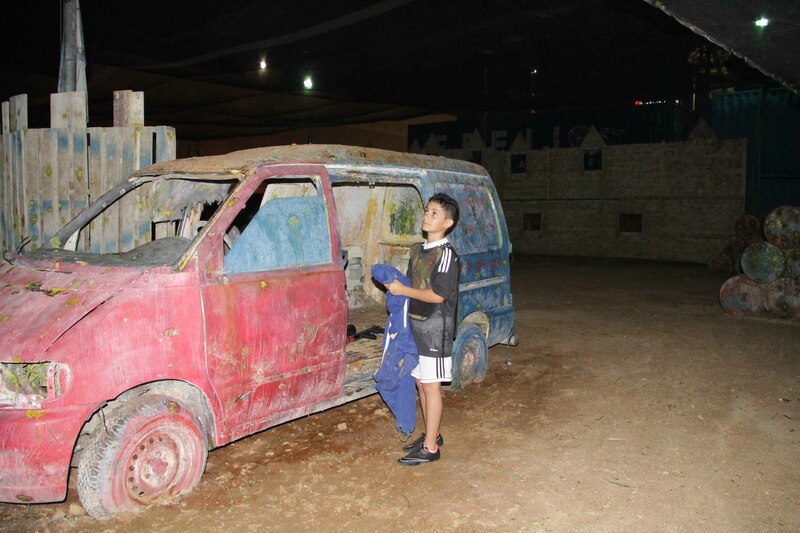 Have you been to Xtrem Paintball? Are you fan of the game? Originally conceived by the Native American Ojibwe people, Dream catchers were made to represent Asibikaashi, the Spider Woman, who took care of people and especially children across the land. 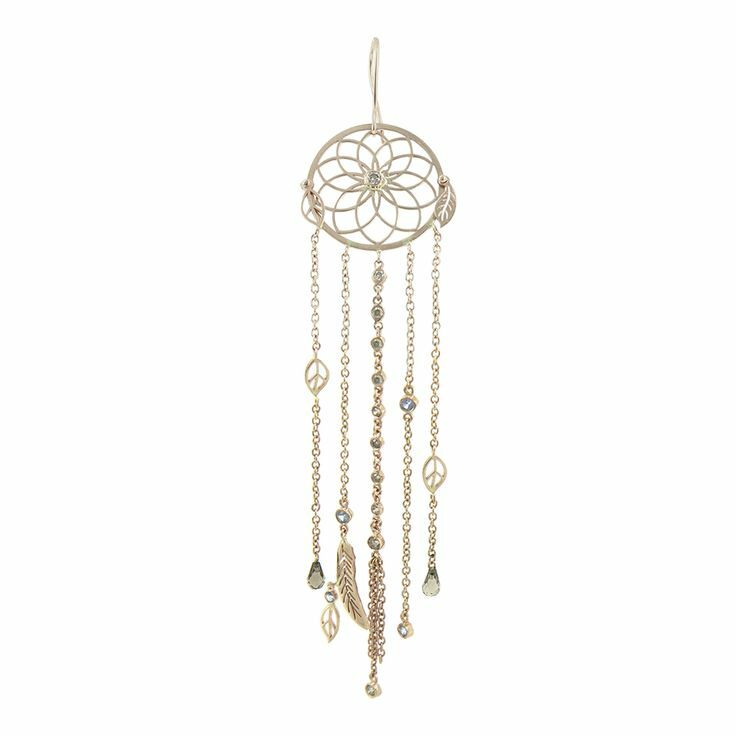 Made of a circle, which was then weaved across in a web-like pattern and then decorated with feathers, the dream catcher was hung from a bed, “catching” all bad dreams and letting only good ones through, allowing the dreamer a peaceful and serene slumber. From this original inspiration the Mukhi Sisters have created a collection that represents the chasing of good dreams and making these dreams into a reality. The Dream Catcher Collection, which includes earrings, pendants, rings, bracelets and body pieces, for both men and women, is a symbol of the persevering passion to make good things happen; to strive for a dream and make it happen. Designed in both yellow and rose gold, the collection mostly incorporates the use of diamonds and turquoise, in fluid movement that symbolizes the energy of optimism. It’s such a unique and lovely collection, dominated by feather designs, including colored stones. These splendid items, chic and simple, will add a touch of brightness to your outfits. Did you check the lovely collection? Which is your favorite item? 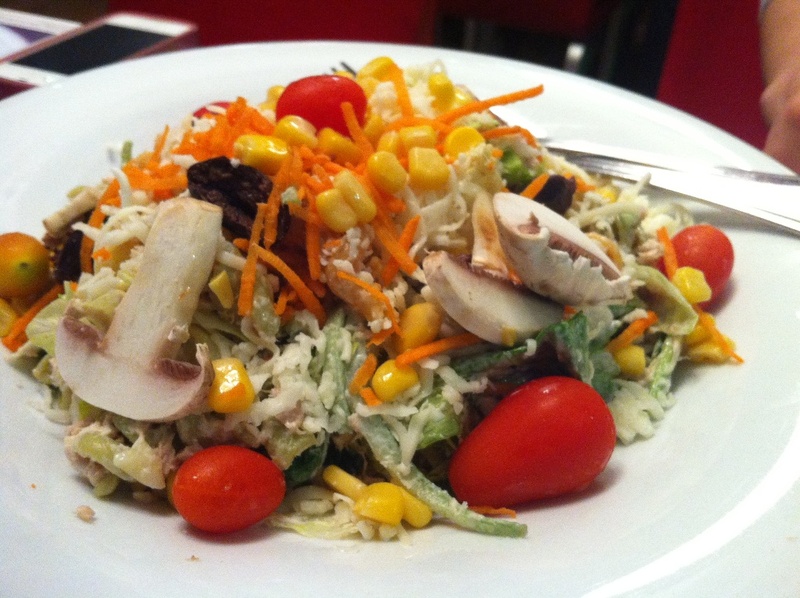 The new menu is here… at Crepaway! I was invited to try the new items on the menu at Crepaway, and all I can say is Very Well done Chef! 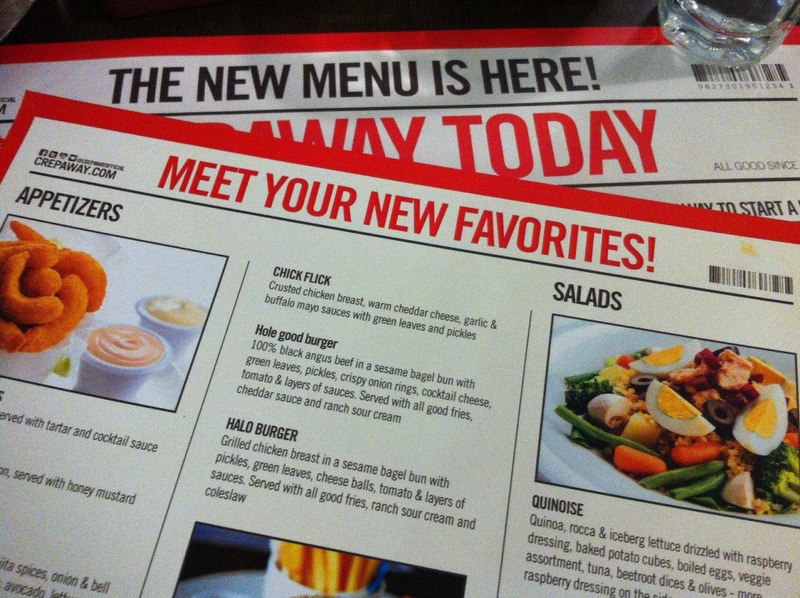 A lot of new items were added to the menu, from starters, salads, burgers, sandwiches and dessert! To end it the right way, we tried the Munchmallow and the Melteaser!! It was a great pleasure to try the new items, thank you Crepaway for this wonderful and tasty experience. Did you try any of the new items? Which one is your favorite? 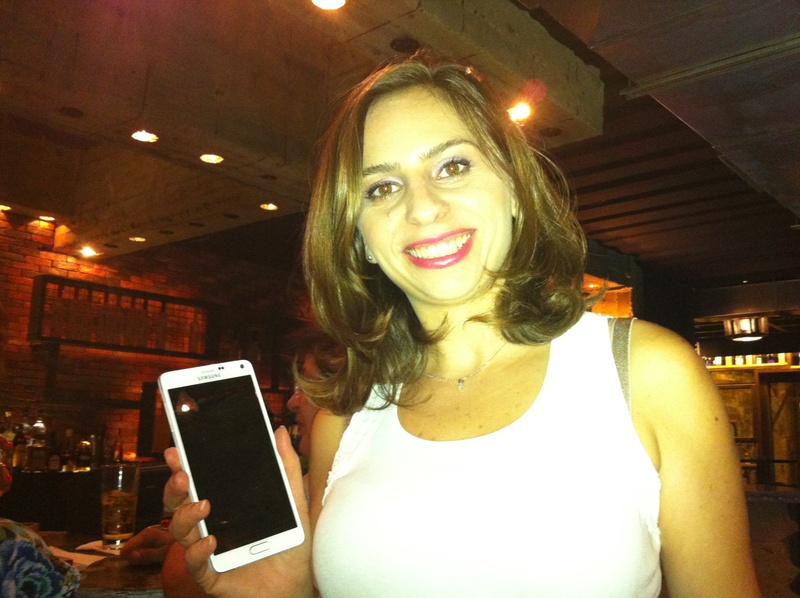 I was invited to the launch of the Galaxy Note 4, an event done for bloggers at Junkyard in Mar Mkhael. Once again, Samsung chose one of the most hype places in Lebanon and gave us the opportunity to see and manipulate the Galaxy Note 4 before anyone else. The Galaxy Note 4 embraces Samsung’s heritage of an unrivaled Galaxy mobile experience. Its extraordinary 5.7-inch Quad HD (2560×1440) Super AMOLED display reproduces clearer and more vivid images with deep contrast, better viewing angles, and response times as fast as a millionth of a second. And due to its large screen, the refined Multi Window feature is able to maximize the user’s experience providing them with the key to easier multi-tasking. Users can choose how they access their applications with full, split or pop-up screens, and easily change the size and positioning of apps on the screen with one intuitive swipe. The Galaxy Note 4 also sports an advanced camera system that is able to reproduce brighter and clearer images. The device is equipped with a 16 megapixel rear-facing camera featuring a Smart Optical Image Stabilizer that counter-balances camera shake and automatically extends exposure time in dark settings. In addition, a 3.7 megapixel front-facing camera with f1.9 offers a default 90-degree shooting angle and up to 120-degree wide-angle so users can take the best group shots with friends. The Galaxy Note 4‘s wide selection of enhanced essential features enable users to get even more from their mobile device. With the Fast Charging feature and Ultra Power Saving Mode, the Galaxy Note 4 charges faster and ensures that users don’t run out of power when they need it most. The Galaxy Note 4 also offers an improved Fingerprint Scanner, to secure personal data and the world’s first UV sensor in a mobile device. Making everyday tasks much faster and easier, the Galaxy Note 4’s S Pen has been specifically evolved to serve as the primary tool that users go to for common, everyday mobile device use. This new S Pen offers a much more authentic pen experience, with a more natural brush effect that perfectly emulates writing on paper with a fountain or calligraphy pen. The S Pen also introduces a more user-friendly Air Command functionality along with other intuitive features such as Action Memo, Screen Write, Image Clip and Smart Select that allows users to create and collect content with ease. A new Smart Select feature enables users to easily piece together content from different origins, and share it with ease. The Galaxy Note 4 also provides users with a choice of multiple, seamless note-taking methods integrated with Samsung’s S Note application that allows everyday tasks to get done faster and more easily. In addition to typing and writing, the innovative Snap Note feature allows users to take a picture of their notes on a paper or a classroom board, and then quickly and easily convert to an S Note. They can also further unleash their creativity by jotting down their thoughts quickly with Voice Memo. 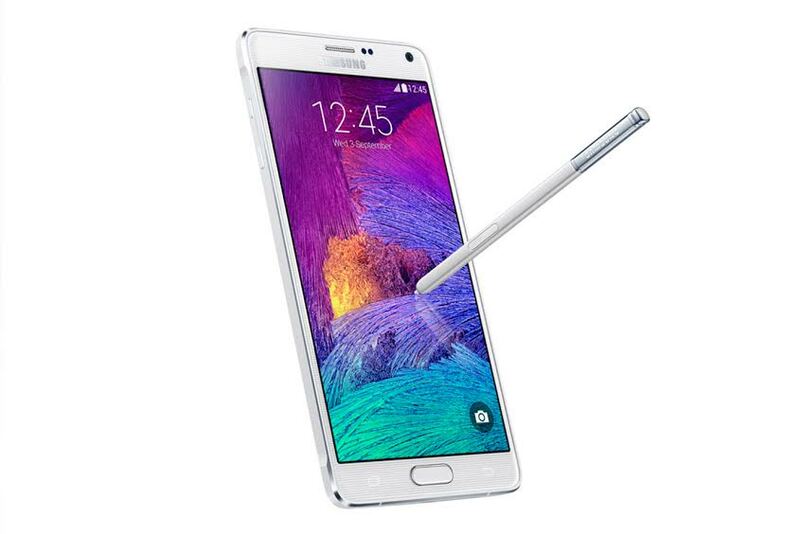 The Galaxy Note 4 introduces a new sleek and stylish Galaxy design language. The device features a premium metal frame with fluid curvature that seamlessly blends with the device display. The Galaxy Note 4’s 2.5D glass screen, inherited from the Galaxy S3, offers extra protection while perfectly complementing the device’s rich viewing experience. A soft-textured back cover provides incredible comfort that makes it easy to control with one hand. The device not only looks beautiful, but also offers a superior grip and enhanced durability. 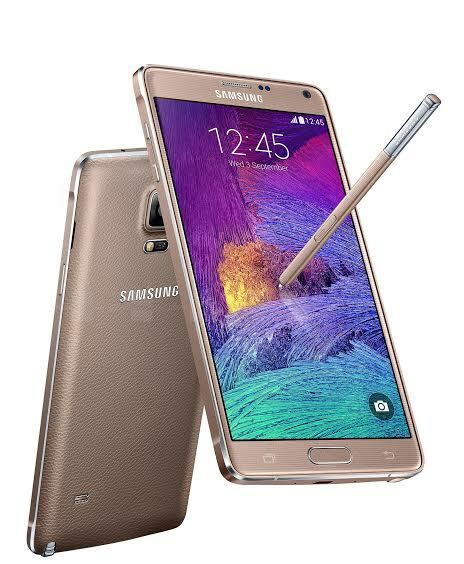 The Galaxy Note 4 is available in “Charcoal Black,” “Frost White,” “Bronze Gold,” and “Blossom Pink” colors. It was interesting to discover the new Galaxy Note 4, with charming people and enjoying tasty drinks and food! Driving on a Friday night to Jounieh or Jbeil to enjoy that not to miss party with your friends and wishing you weren’t the one driving because you can’t drink as much as you want or don’t like to drive in traffic? Going in your car to on the clubs where you have to give your car to the valet and you really hate doing that! 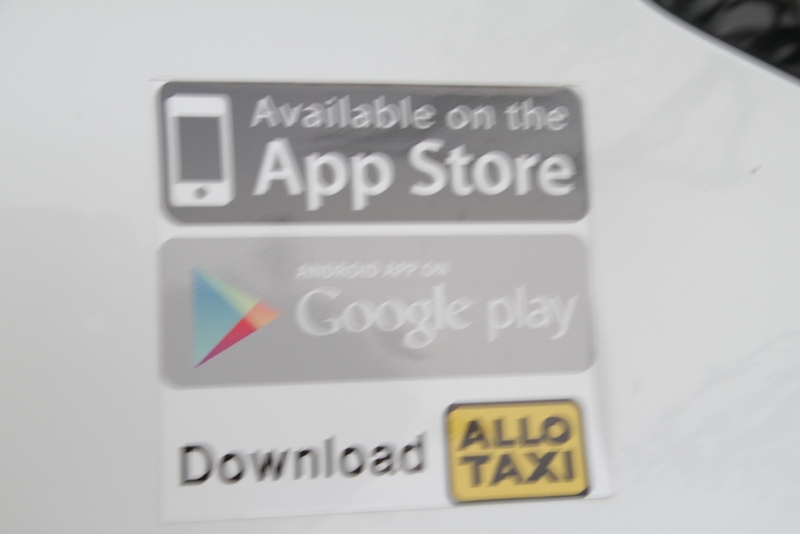 Allo Taxi recently created an App on your mobile (Android and IOS), to make your life super easy! 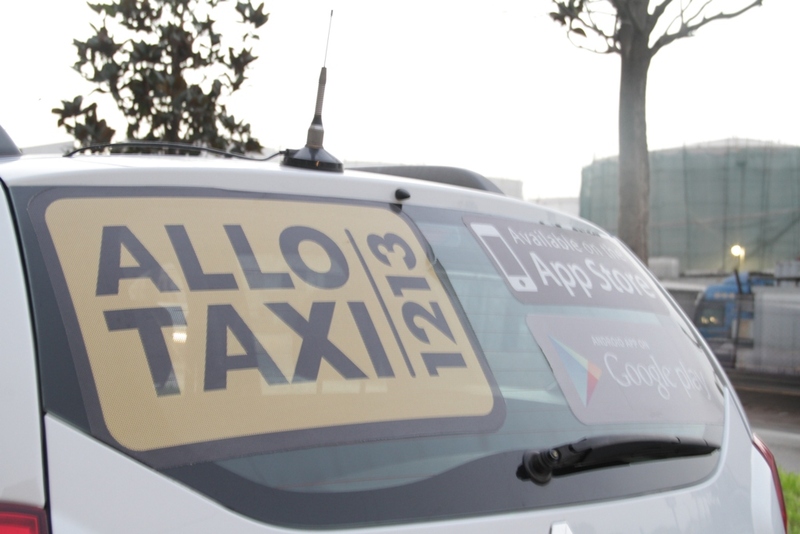 After downloading the App, you create an account, and wherever you are you log in, order the taxi from your phone, you just have to indicate your location and your destination. You can also choose when you want the driver to reach you, the type of service you want (luxury, minivan, minibus…) and if you have any notes for the driver, you can add them in a special box. Super Easy! When confirming your order, you receive an instant sms informing you of the order and you get an e-mail to your inbox too. You will receive a sms informing you of the time needed for the nearest car to reach your location, you can also track the car on the map, and see which way the driver is taking. When the driver is here, you will receive an e-mail informing you that the driver is here, the type of car he’s driving, his name and phone number. On my way to Movenpik’s Goodbye Summer Party! When you reach your destination, you choose the way you want to pay (cash or account) and you sign on the driver’s phone (in the special square in the App). What’s even cooler is that the App memorizes the locations you previously entered, so the next time you want to order a taxi from the same place, you won’t have to waste time to search for the location again! I am in love with this App, it’s just amazing. I’m leaving my car in a safe spot and reaching my place in a better mood! I’m not the one driving in traffic & I don’t have to deal with annoying valet !! You can take as many selfies as you want without any dangerous risk on your life. And the drivers are funny, making the way smoother! Goodbye Summer Party on the top of Square Lounge! I am a summer person and it’s really hard for me to say goodbye to the season that is full of life, activities, parties and fun. 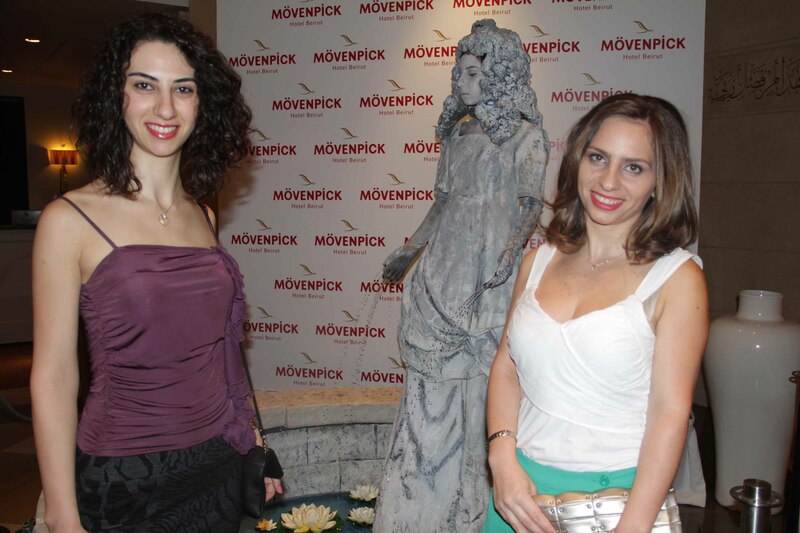 Movenpick Hotel’s goodbye summer party was on top of the heap! We were well welcomed at the door of the hotel, with a special setting of the living fountain romanesque statue to take pictures, then we were accompanied to the Square Lounge. The Square Lounge was full of good vibes, amazing beats and delicious bites. Enjoying the breathtaking sea view, we were also entertained with acrobatic art and cute memes. It was a splendid evening, wishing Movenpick Hotel a great winter season! 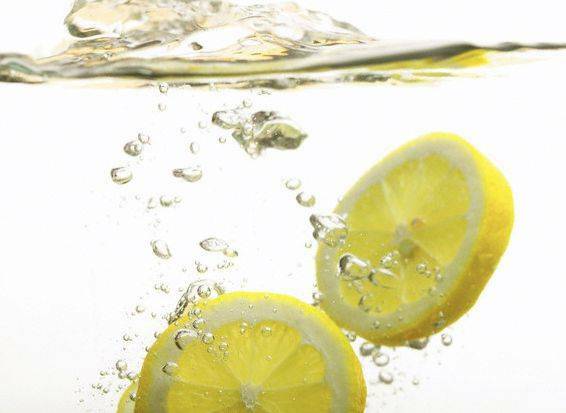 Boost Your Day With Lemon Water! Lemon is undoubtedly one of the most widely used citrus fruits in the world. It contains a very high level of vitamin C. Though, the inner flesh is extremely sour to be eaten, it is often used to add flavor to other ingredients and dishes due to its refreshing smell and tart flavor. 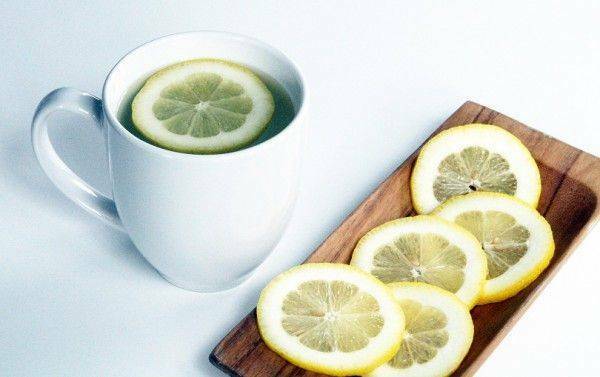 One of the great ways to use lemon in the morning is squeezing half of a lemon and adding it to a cup of warm water. But how is Lemon water beneficial to your health? Lemon is an excellent and rich source of vitamin C, an essential nutrient that protects the body against immune system deficiencies. Lemon water can help keep you healthy and beat off infection. If you have a sore throat you could make a warm lemon drink to sip every couple of hours. That said, if you are having a lemon water every morning you’re probably unlikely to get one in the first place. The energy a human receives from food comes from the atoms and molecules in your food. A reaction occurs when the positive charged ions from food enter the digestive tract and interact with the negative charged enzymes. Lemon is one of the few foods that contain more negative charged ions, providing your body with more energy when it enters the digestive tract. 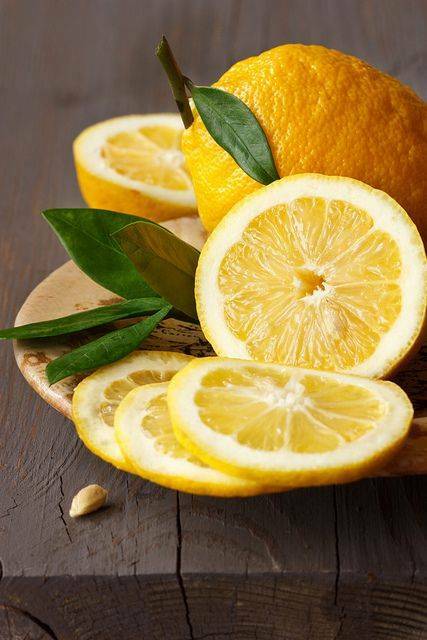 The scent of lemon also has mood enhancing and energizing properties. The smell of lemon juice can brighten your mood and help clear your mind. Lemon can also help reduce anxiety and depression. Thanks to all the vitamin C within lemons, your skin reaps the benefits of you drinking the fruit as well. Vitamin C assists in the production of collagen, so having more in your diet can prevent wrinkles from forming. Vitamin C is vital for healthy glowing skin while its alkaline nature kills some types of bacteria known to cause acne. Further, lemon juice can be applied topically to scars and age spots to help reduce their appearance. Since lemon water purges toxins from your blood, it would also be helping to keep your skin clear of blemishes from the inside out. The vitamin C contained in the lemon rejuvenates the skin from within your body. Lemons are high in pectin fiber, which helps fight hunger cravings. For a quick weight loss proper hydration of body is required. Drinking good amount of lemon juice can improve metabolism. As metabolism improves, the body starts burning fat after workout. So sip a lemon drink and enjoy the taste. But you should add honey instead of sugar or artificial sweeteners to reap maximum benefits. Lemon juice flushes out unwanted materials and toxins from the body. It encourages the liver to produce bile which is an acid that is required for digestion. Lemons are also high in minerals and vitamins and help loosen toxins in the digestive tract. The digestive qualities of lemon juice help to relieve symptoms of indigestion, such as heartburn, belching and bloating. Not only will this killer combination relive indigestion, it will also help flush you out. The high antioxidant and antibiotic compounds in lemon water may also help reduce body odor over time. Besides fresher breath, lemons have been known to help relieve tooth pain and gingivitis. Be aware that citric acid can erode tooth enamel, so you should be mindful of this. No not brush your teeth just after drinking your lemon water. It is best to brush your teeth first, then drink your lemon water, or wait a significant amount of time after to brush your teeth. Additionally, you can rinse your mouth with purified water after you finish your lemon water. There really are a lot of good reasons to start your day with the freshly squeezed juice of a lemon in a glass of water. After drinking, wait 30 minutes before you eat your breakfast so the lemon water can work its way through your system. This gives the lemon water a chance to flush out your system of debris and toxins and prep if for your meals! Try it for a couple of weeks and see how it goes, I would love to hear your experiences. October 2nd, 2014 marked the 145th birth anniversary of Mahatma Gandhi and his message of non-violence still echoes across the globe. A lecture by Ratish Nanda: The Tomb of Humayun Restoration that was held at LAU. A Concert by Sonam Haira and the Sufi Gospel Project, that was help yesterday at UNESCO. The music they produce blends together the many voices of language, religion and music to create one voice, the voice of faith. Their sound is fresh and unique and in fact, Sonam has created a new genre with The Sufi Gospel Project. It is called a ‘project’ because the music the band produces is ever evolving and an exploration of this genre. Traditional Western Gospel melds with Indian classical sounds and Indian Spiritual texts are enriched by elements of western poetry to create a sound that touches every soul. They will be playing again tonight in Batrouniyat, Batroun at 8h00 p.m. I got dressed in the morning without really thinking of my outfit ahead of time and I suddenly realized that I was mixing two different kind of prints unconsciously, which i rarely do! I wore my new chic black with white dots skirt from Benetton, with a simple white top from Sinequanone and matched it with my black and silver pumps patterns from Nine West. What I like about this skirt, is that it’s simple, chic and it has pockets! The white top is simple and goes well with anything! The black and silver patterns shoes are comfy for a day at the office, and are just what I need for this season. And since it’s Pinktober, I started with my first pink nail polish. I used the Pink Mocha from Mollon Pro and added a little bit of pink sparkle on the ring finger, by using the Embrace from Orly. Are you into patterns? Do you like Pockets?